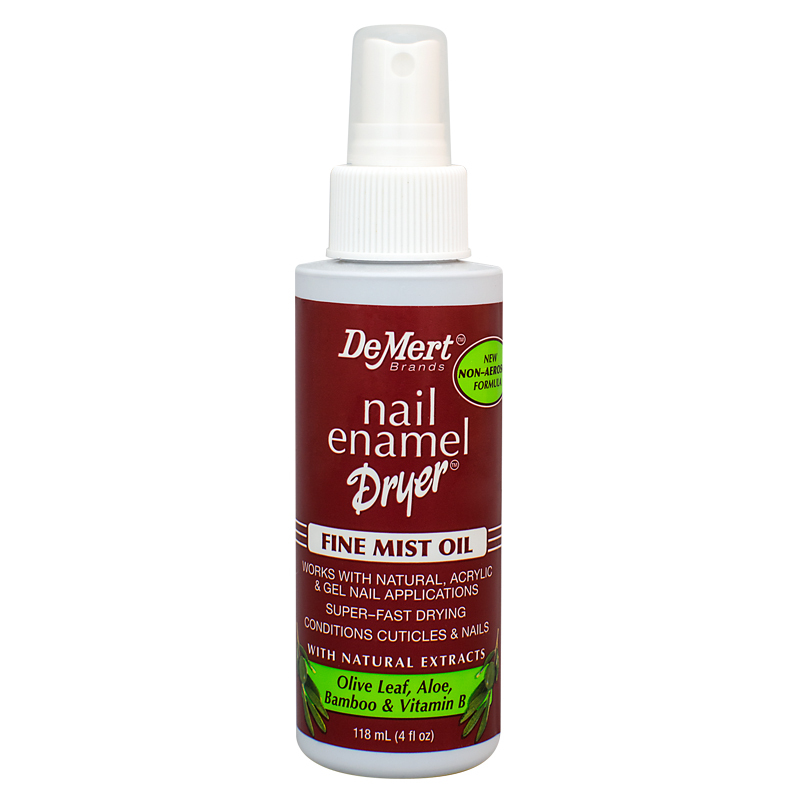 The fine mist spray helps accelerate the drying time of nail color and provides a slick surface to prevent smudges. 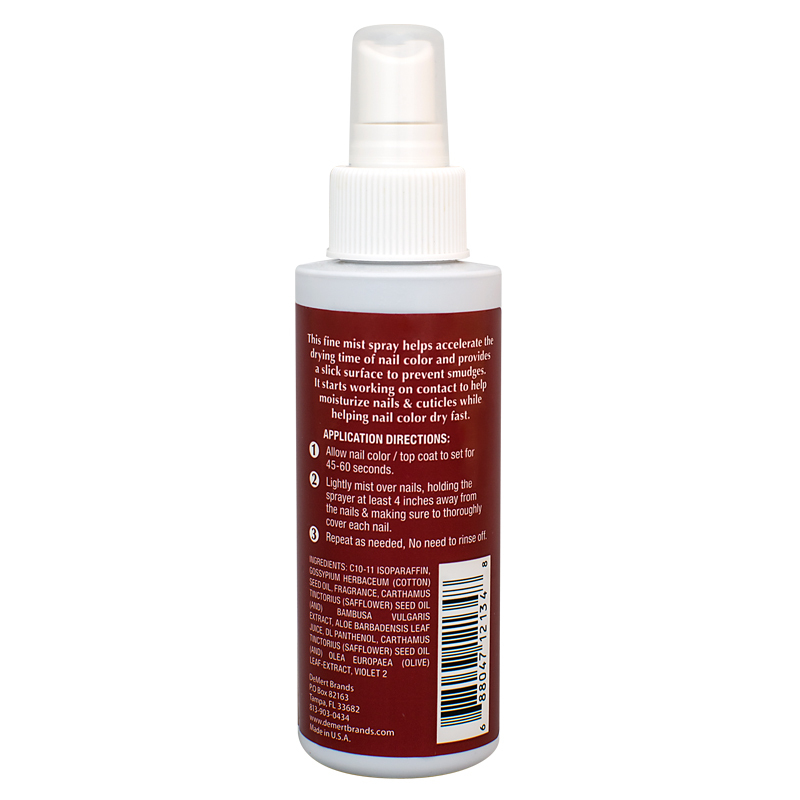 It starts working on contact to help moisturize nails & cuticles while helping nail color and dry fast. Directions: Allow nail color/ top coat to set for 45-60 seconds. 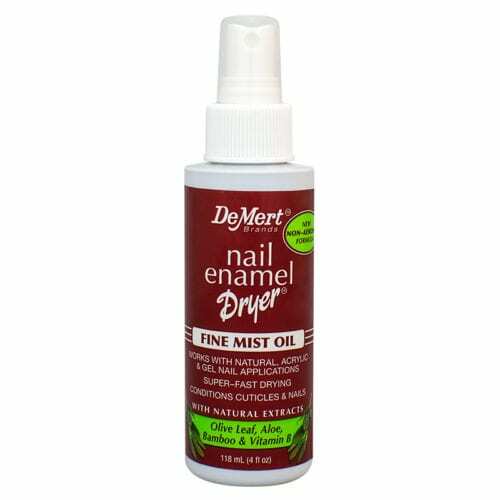 Lightly mist over nails, holding the sprayer at least 4 inches from the nails & making sure to thoroughly cover each nail. Repeat as needed, no need to rinse off.